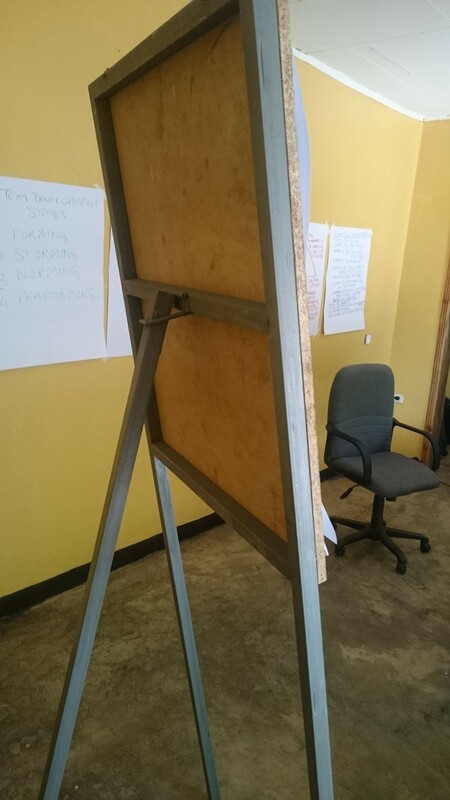 I feel so honoured and touched that this flipchart easel has been hand-made locally for me: square section steel, painted grey, with a big panel of wood bolted to its front. Its two coat hooks just about fit with the brass eyelets on the pad – ironically, made in China. Why here? Why me? Sometimes I’m asking this too. I’m here as an unpaid trainer for Farm Africa, an innovative UK Charity doing development work with smallholder farmers in East Africa. They’ve just received a large grant from the UK’s Department for International Development to run pilot projects in two remote regions of Ethiopia, building social and environmental resilience. It’s an ambitious project, with huge potential requiring a lot of pioneering. I’m here to help train the local project teams, many of them newly recruited, and get some understanding of how the project is going on the front line. The training I am running is at Farm Africa’s office in Jinka: five hour’s drive from the nearest airport, way out in the southwest of Ethiopia. It’s a lush green area, and one bonus during our breaks is eating fresh mangoes straight off the trees in the compound. 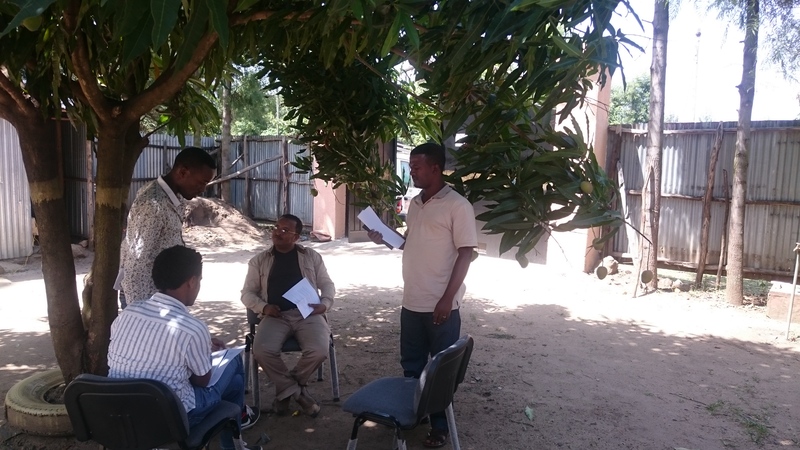 The training room is hot and humid, so all the small groups happen in the shade of the trees in the yard. One big worry for me and my client was language: would delegates understand my English, and be fluent in expressing their views? Thankfully the answer was yes on both counts. One reason for using a British trainer is that the reporting language for the project is English, and everyone’s fluency improved a lot during our three days. My client had arranged a projector as well as the easel, and was surprised that I didn’t use PowerPoint. One of our training topics was presentations: I urged people not to hide behind visual aids, but make personal contact with their audience. I felt vindicated when one man described his work briefing pastoralists – nomadic and his only visual aid was drawing on the ground with a stick. Because of the heat, we worked with all doors and windows open: I was repeatedly unsettled by a baby in distress nearby, until I discovered it was a small goat. One of the charming features of Ethiopia is how goats, cows and donkeys wander freely around the roads – even in towns. One pitfall of this kind of training is cultural differences: so I checked if my material on body language, eye contact and expressing feelings was appropriate. In Ethiopia it is, and the team were thirsty for skills in this early phase. They really liked the four-stage forming-storming model of group development. Of course, I was learning as much as I was teaching. Comparing the resilience of Ethiopia and Britain is salutary. Ethiopia has bigger challenges: fast population growth, major drought in some areas, and much lower GDP. Yet it also has some advantages: Government has a strong role and capacity to act, from Federal to local, and communities remain strong and supportive. A third ingredient is also promising: the funding and new ideas which various international NGO’s like Farm Africa and their American partner Mercy Corps are bringing in. It’s exciting to see a remote region like this becoming an edge for innovation. If traditional groups likes pastoralists can adopt mobile banking, if marginalised groups can create social enterprises through microcredit, we can all feel hopeful.